1. 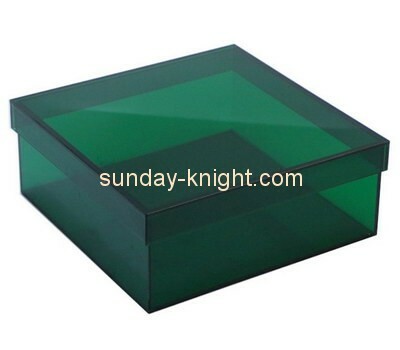 Item name: acrylic box. 2. Product: acrylic display/ acrylic box/ acrylic frame/etc. 3. Size: customized, according to your own product. 4. Color: transparent and other your need. 5. Usage: display and storage. 6. Package:bubble package+inner box+outer carton, according to clients' size and requirements. 7. Delivery time: 30-35 days. 8. Material: clear acrylic/ PMMA/ plexiglass/ perspex/ lucite. 10. Feature: best price/ high quality/ creative design / eye-catching/ Eco-friendly. 11. Design: could follow your artwork. 14. Logo: print your own logo,silk-screening & engraving. 15. Production technology: laser cutting, carving, hot bending, combining and packaging. 16. OEM & ODM available. 17. Accepted delivery terms: FOB,CIF,EXW.